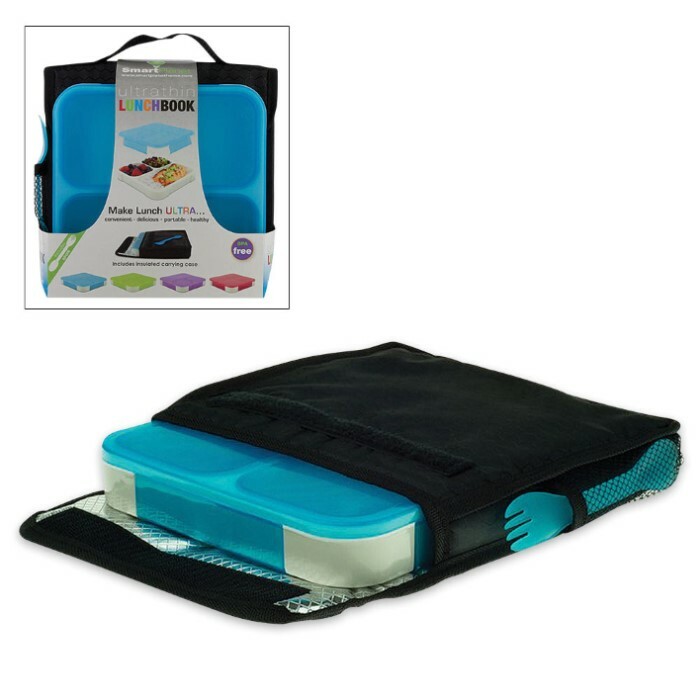 Ultrathin Lunch Book Meal Kit With Pouch - Blue | BUDK.com - Knives & Swords At The Lowest Prices! 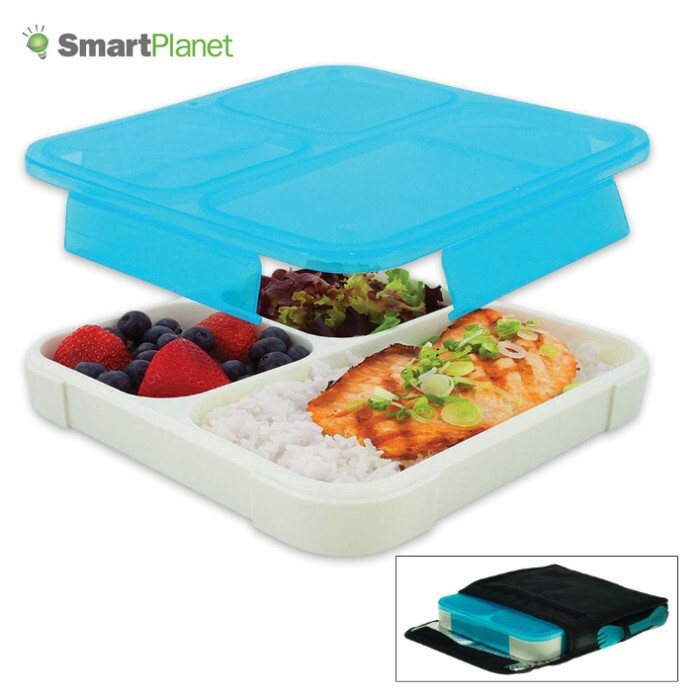 More compact than your average lunchbox, the Ultrathin Lunch Book Meal Kit barely takes up any space in your bag but still has enough room for a well-balanced lunch. The 24-oz container has three compartments and includes a matching reusable spork that stores on the outside pocket of the carrying case. The insulated carrying case will keep your meal either hot or cold, as needed, and the handle makes it easy to carry. 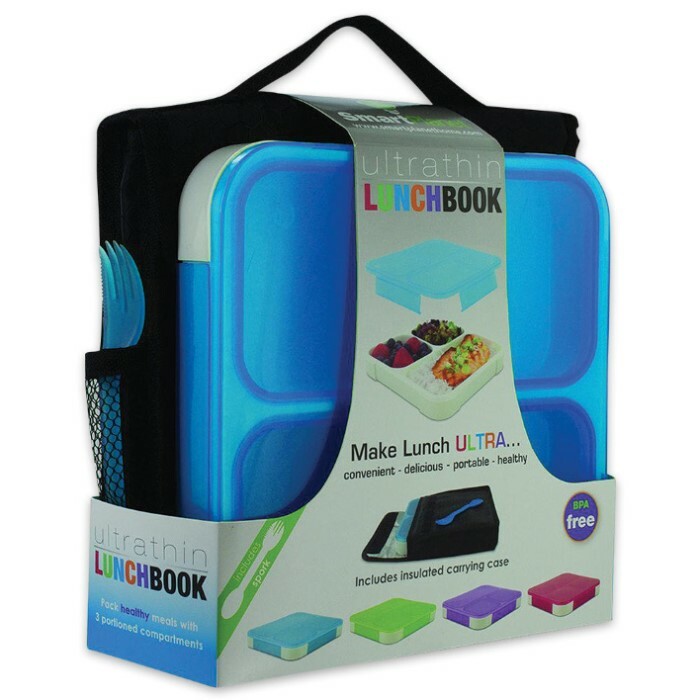 The Lunch Book base is microwave safe and top rack dishwasher safe.